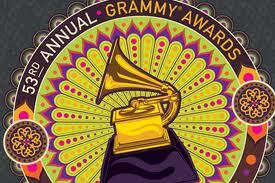 The 53rd annual Grammy Awards keeps upping the ante. On Tuesday (February 8), producers announced a new slate of presenters for the show this Sunday night, including Miley Cyrus, Paramore, Neil Patrick Harris, John Legend, Seth Rogen and Kris Kristofferson. Rugged singer/actor Kristofferson, a three-time Grammy winner himself, will be on hand to introduce a special performance from nominee and 2011 MusiCares Person of the Year Barbra Streisand. Kristofferson and Streisand were co-stars in the hugely popular 1976 remake “A Star Is Born.” The singer/actress, who performs live very infrequently, will likely sing a selection from her Love Is the Answer release, which is up for a Best Traditional Pop Vocal Album award. Streisand will add some old-school glamour to an entertainment roster that leans heavily on the new stars of today, including Lady Gaga, Katy Perry, Drake and Rihanna, B.o.B, Bruno Mars and Janelle Monál;e, Lady Antebellum, and Justin Bieber with Usher and Jaden Smith. Also performing at the Grammys are Eminem, Arcade Fire, Miranda Lambert, Muse, Cee Lo Green with Gwyneth Paltrow and the Jim Henson Company Puppets, and Rolling Stones legend Mick Jagger with Raphael Saadiq in a special tribute to late soul icon Solomon Burke. RedOne – Lady Gaga’s producer on The Fame, The Fame Monster, and the forthcoming Born This Way –has also been nominated for “Producer of the Year.